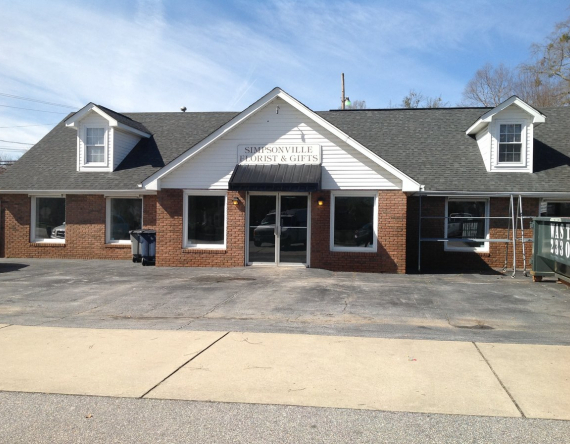 Excellent Location in the heart of downtown Simpsonville. 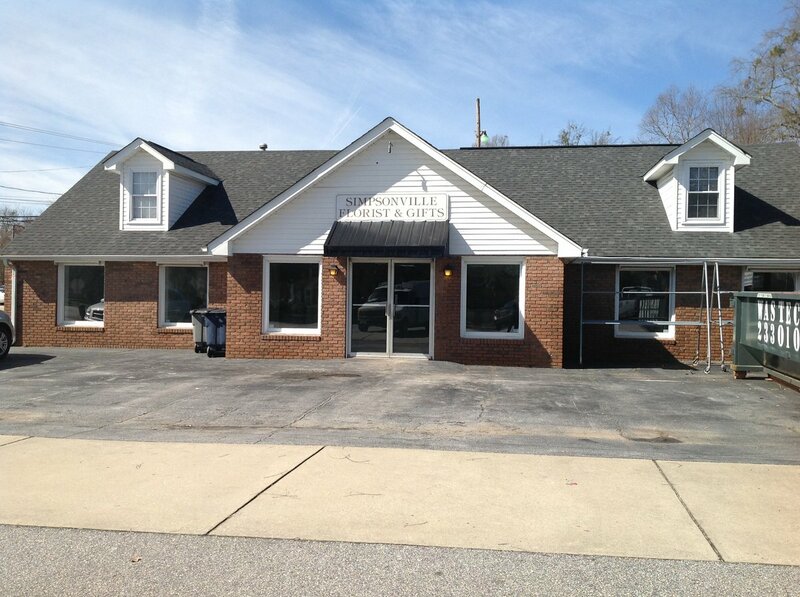 Retail or Office use with great visibility. Former flower shop and Barbrey's Fuel Oil Company. Building is divided into 3 Spaces with 3 separate heating units. Over head door in one of the spaces convenient for large deliveries or service area.